The TTCD Board of Directors serves as the governing body for the organization. 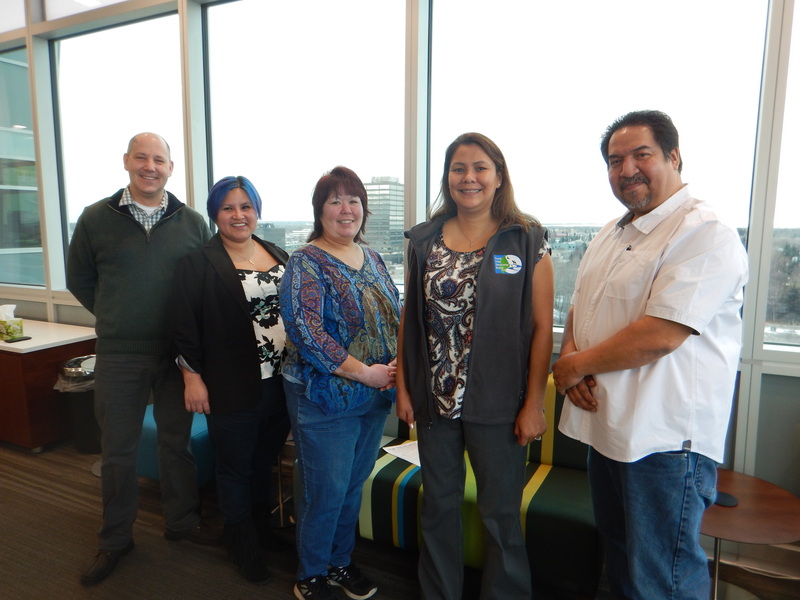 Composed of five individuals, the TTCD Board includes two representatives appointed by the Native Village of Tyonek IRA Council, two representatives appointed by the Tyonek Native Corporation Board of Directors, and up to three At-Large representative who are selected by the other four board members. Marian King has served on the TTCD Board of Directors since 2015, and was elected as Chair in 2018. Marian was appointed the TTCD Board by the Native Village of Tyonek (NVT) IRA Council, and she has served on the NVT council since 2013. In addition, Marian is the Community Health Representative for the Native Village of Tyonek. Jason Brune joined the TTCD Board of Directors in 2016. Jason serves in one of TTCD’s At-Large board seats, and was selected by the other four board members to this role. Jason currently serves as the Senior Director of Lands and Resources for Cook Inlet Region Inc. (CIRI). Cassandra Kroto joined the TTCD Board of Directors in March 2018. She was appointed as a representative by the Tyonek Native Corporation Board of Directors, has served on the TNC Board since 2017. Cassandra also serves as the Director of the Indian Creek Health Department in Tyonek. Robert Stephan, Sr. has served on the TTCD Board of Directors since 2013. Robert previously served on the TTCD BOD in its earliest stages, and was an active board member from 2006-2010. Robert was appointed to the TTCD Board by the Tyonek Native Corporation (TNC) Board of Directors, and he has served on the TNC BOD since 2013. Crystal Jones joined the TTCD Board of Directors in March 2018. Crystal was appointed as a representative by the Native Village of Tyonek IRA Council, where she has served as a council member since January 2018. Crystal also serves as the Environmental Assistant for the Native Village of Tyonek. Dan Graham joined the TTCD Board of Directors in May 2018. Dan serves in one of TTCD’s At-Large board seats, and was selected by the other TTCD board members to this role. Dan currently serves as the Permit and Environmental Manager for Donlin Gold, LLC.